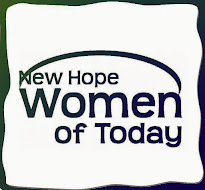 New Hope Women of Today: Wreath Sales! This is our last year doing it - so let's go out on a high note! Contact a NHWT member to order yours. We'll also be offering them at the Cooper Craft Fair from the NHWT membership/information table. Delivery day - will be November 11th.